Nelson Mandela, the father of a new South Africa freed from the savage shackles of apartheid, inspired a world yearning for freedom. His life’s testament to the power of “doing what you can, where you are, with what you have,” lives on in the hearts, minds and passion of millions. These ten lessons from Nelson Mandela’s life stand out as a lasting legacy. They are lessons worth learning and embracing. Nelson Mandela never allowed others to define him. Nelson Mandela never lost sight of the big picture. 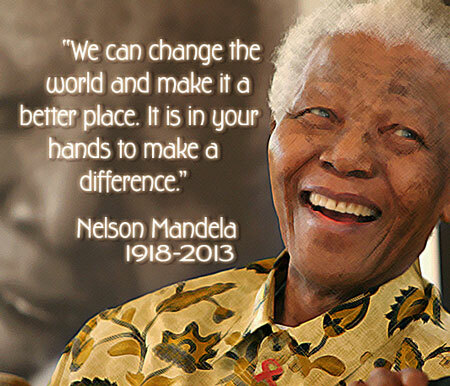 Nelson Mandela did his best everyday to bring his vision to life. Nelson Mandela knew that accomplishing big goals meant working together. Nelson Mandela had the courage of his convictions. Nelson Mandela appealed to the best in people. Nelson Mandela didn’t hold grudges. Nelson Mandela spoke from the heart to the heart. Nelson Mandela lived in the present, not the past, and focused on the future. Nelson Mandela had the strength to allow others to witness his humanity. May all who grieve be comforted by the miracle of his life, knowing his spirit remains with us, cheering us on, counting on us to continue his work for the “safer, saner, more loving world” he knew we have the power to create. Seth Eisenberg is President/CEO of the nonprofit PAIRS Foundation in Hollywood, Florida, a longtime industry leader in marriage, family and relationship education.